[Rodeo cowboy at Pikes Peak or Bust Rode. 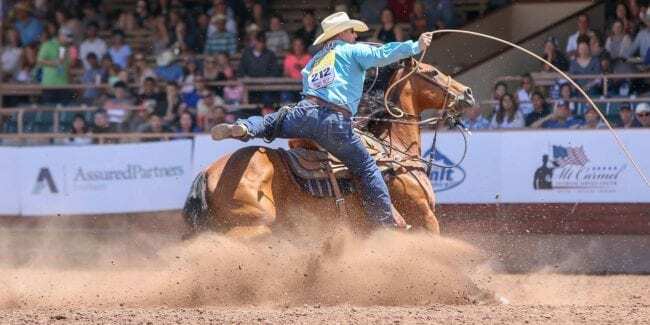 Photo: facebook.com/PikesPeakRodeo] Presented by Cinch Jeans & Shirts, the Pikes Peak Or Bust Rodeo is an invitational championship rodeo that delivers action packed entertainment year after year. Since 1950, the best athletes in the industry have competed in Colorado Springs. It’s held at the Norris-Penrose Event Center over four days, July 10 to 13, 2019. Although the festivities actually kick off the evening before in downtown Colorado Springs. The annual Pikes Peak or Bust Rodeo Parade marches down Tejon Street, from St. Vrain to Vermijo. It’s free to watch the parade, which starts at 6:30pm. American Freestyle Bullfighting events are held Wednesday, Thursday and Friday, with the championship on Saturday. The Coors Roadhouse Saloon invites festival attendees to swing by after the rodeo for live music and line dancing each night of the event. Mutton Bustin’ – Open to all kids 4-9 whom weight less than 50 pounds. 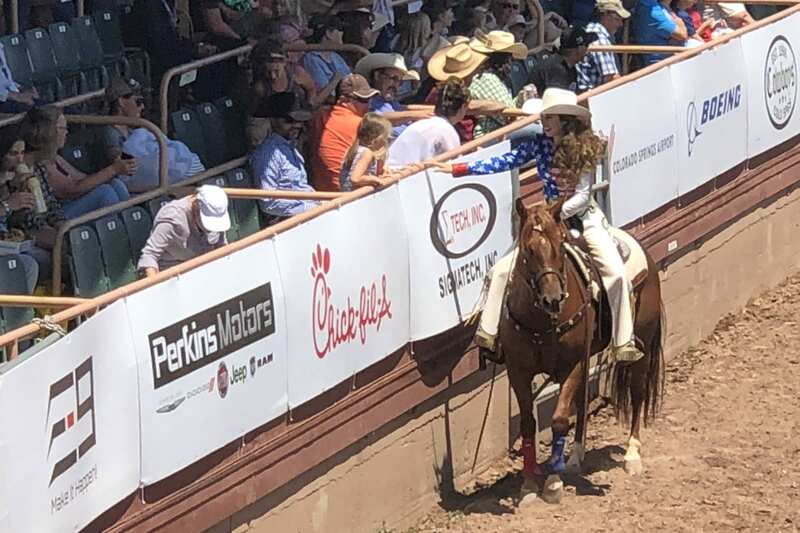 Kids who ride the sheep the longest and win the prelims are invited for Saturday’s matinee event.